Our world has officially changed and will never be the same. We knew it was coming and did everything we could to physically and mentally prepare for it. Past experience taught us what we were in for when we made this decision, but still it’s a huge change in our lifestyle. We got a PUPPY!!! 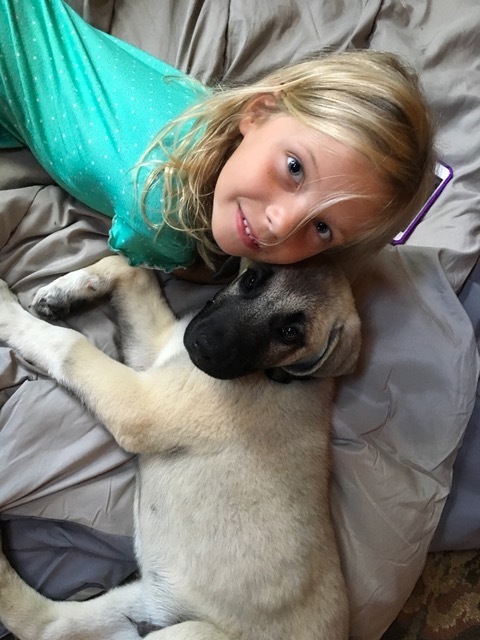 A baby Kangal! Our Brazilian mastiff, General Beauregard, passed away about a year and a half ago and we have been without a four-legged friend since; we missed his presence. At 150 pounds he took up a lot of space and the house felt empty without him. It took us awhile to adjust, but I slowly started to embrace the clean floors. 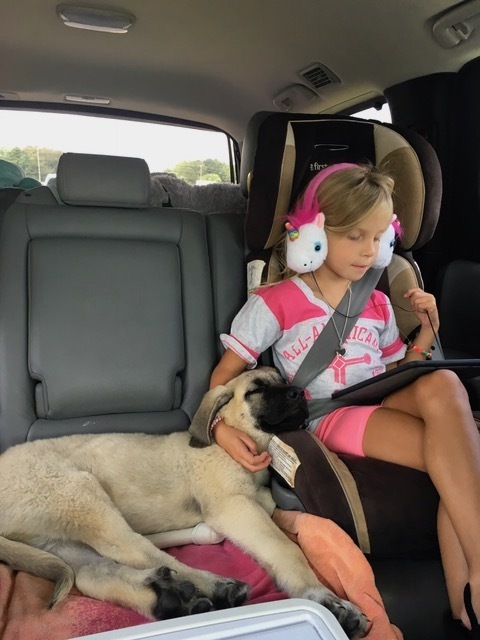 Perry started researching the kangal breed sometime ago and contacted a breeder who referred us to another breeder who referred us to another breeder that had a litter available sooner than later, @kathrynkrische. The kangal is a Turkish livestock guardian whom can be either a farm dog or a house/family pet. Two weeks ago Perry looked at me very seriously as I approached the kitchen and said, “I have a very important question for you”. My inside response was “uh oh” and I unsuccessfully tried to hide it when I responded with a, “What’s that honey?” And he popped the question. “Do you want to get a puppy?” I wasn’t entirely shocked, but mostly. I knew it was inevitable, but I stood frozen for minute contemplating the reality of a new family member which would resemble that of a two year old; really cute but labeled “terrible two” for a reason. The answer was a collective “yes”. All four of us were ready, but the litter was 10 hours away in Crossville, TN. 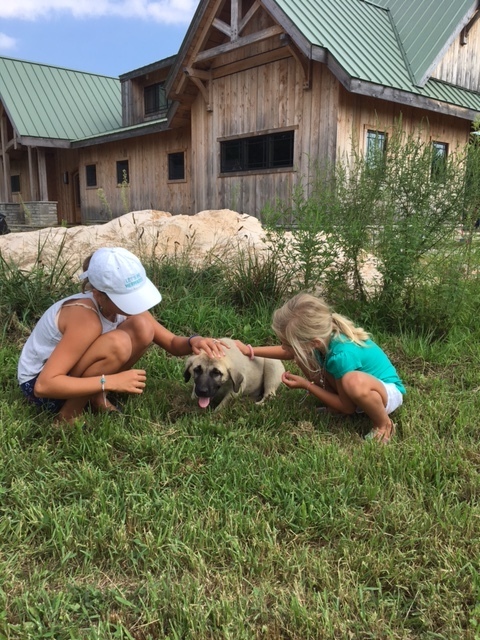 We went over multiple scenarios on how to get a puppy home and decided to pack up the girls and go get the little fella, making it the grand finale family summer vacation of 2017! We packed like we were in a large RV, but we really were just in a Toyota Sequoia so it was a pretty tight fit and even tighter on the way back. We had a fun filled 5-night trip where everything fell perfectly into place. The only thing that could have made it better would be an RV, no doubt our next investment! 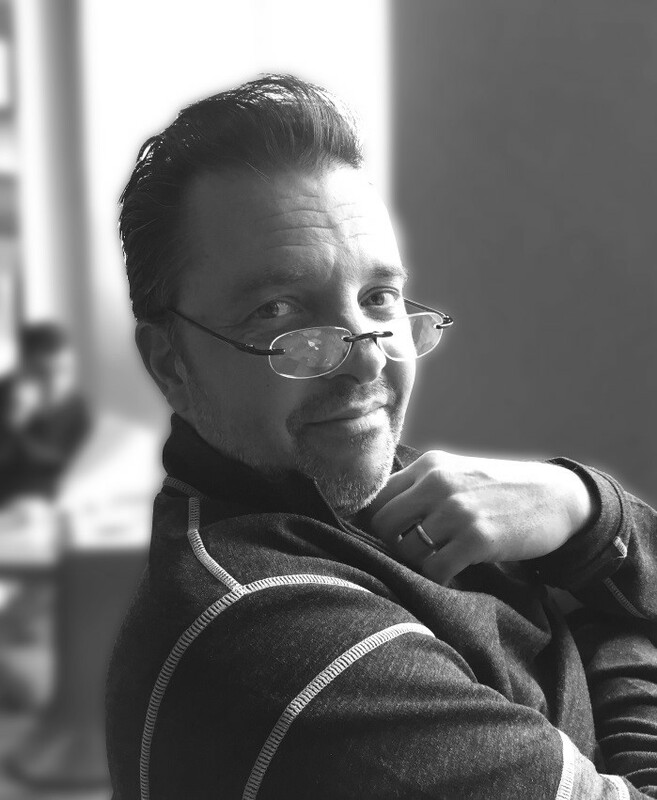 Perry’s been feverously researching the best one…go figure. I was pretty set on splitting up the 10-hour drive into two days and finding some fun along the way, but Perry convinced me to go for it all in one day. Fortunately, a friend of mine mentioned Gatlinburg, TN to me and how much she enjoyed visiting there as a child; thank you Kim Haymon! It was only an “8-hour” drive. We arrived at our beautiful log cabin in the Great Smoky Mountains 9 hours later. We spent our first day sightseeing and exploring the town, we shopped in the art district, lunched at 3-Jimmy’s and watched the Music Festival they were hosting. It was a great day! The second day I dragged the fam to Dollywood. Perry was the only one kicking and screaming, but in the end he had as much fun as the rest of us! The Roller coasters and junk food were great, but the valet parking and fast passes sweetened the deal for all of us. The third day was the big day on so many levels. 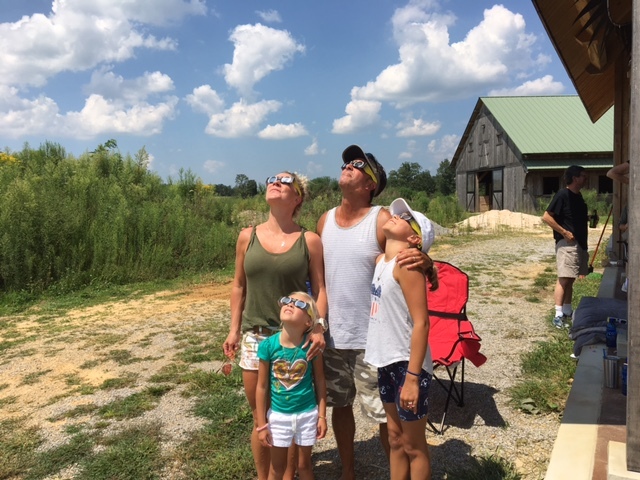 Not only were we getting a puppy but the farm he lived on just happened to be in the Path of Totality and as luck would have it, there was a Total Solar Eclipse the same day. The breeder invited us to share the experience with her and her family and it was absolutely amazing to witness such a majestic event. The air, the light, the animals, were all so surreal. We had three puppies to pick from, so we thought. What really happened was “Mr. Green” (The breeder identified the puppies by color and Perry put the “Mr.” in front of them (something to do with some movie I think) picked Sailor, our 6 year old daughter and decided the rest of us were ok too. It was like he imprinted on her and she knew it, they bonded instantly and Sailor quickly announced she had another BFF. I think my heart grew 10 sizes that day and I didn’t know that was possible! We quickly bathed and renamed our baby kangal. Mr. Green is now known as Admiral “Bull” Halsey. He is super sweet, smart, stubborn and kind; just like a Sasnett. 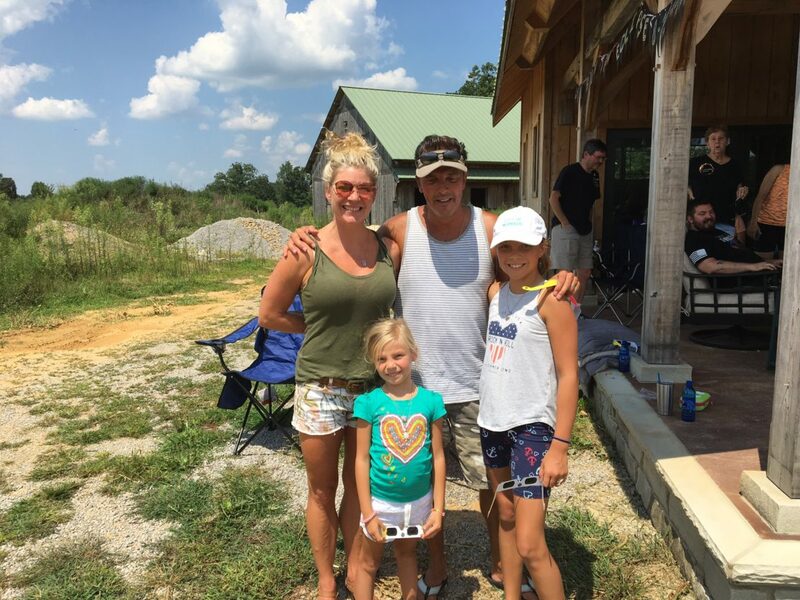 We spent our last day in TN hanging out at the cabin getting to know each other, exchanging kisses and introducing Halsey to things he had never experienced before, like being inside. We are on our way home now, Halsey seems to be fine in the car as long as he is next to Sailor. We are all enthralled with our new family member and enjoying getting to know him. Our lives will never be the same, my floors will be hairy, traveling will be more logistically challenging and our grocery bill just increased, but it’s all worth the love and joy this little guy brings to our home. Share your story. How did you discover your furriest family members?